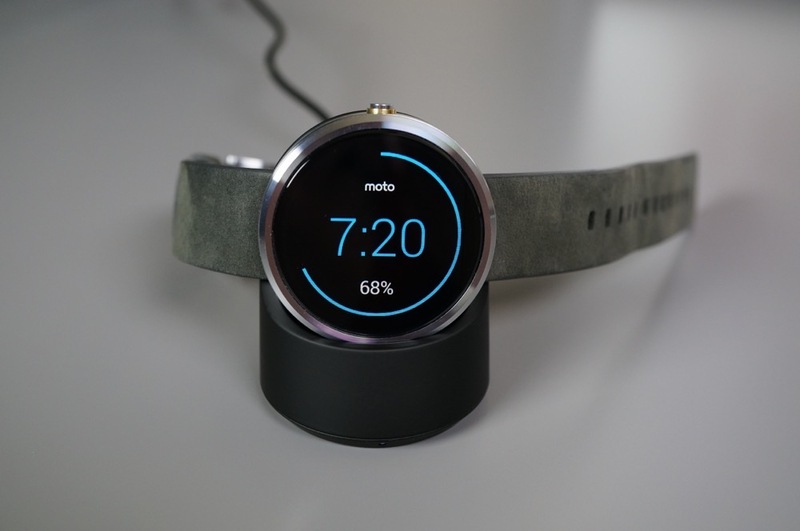 Last week, Motorola began rolling out a software update to the Moto 360 as build 1.0.1.1448224, an update that was officially listed as nothing more than a Bluetooth connectivity fixer and bug squasher. But now that the update has been on devices in the wild for a full weekend, are we starting to learn that this may have been much more than just a connectivity improver and bug blaster? It could be a battery saver or optimizer too. Maybe better put, this could be a reason to consider buying one if you had concerns previously about battery life. According to a rolling, weekend-long thread over at reddit that is filled with first-hand accounts of newly lengthened battery life post update, some are seeing as much as 30% extra battery life at the end of a day compared to what they were averaging pre-update. The thread’s creator claims that he was left with 70% battery after using the device for 14 hours, which normally would have left him around 40%. Another started a day with 88% and still had 30% left in the tank when their 360 went back on the charger at night. Some are even considering giving Ambient Mode another run. I can attest, I’ve never seen a software update improve battery life this much before, it’s incredible. Not only that but any bit of stutter/lag was also fixed along with connectivity issues. We aren’t sure what Motorola did, but this could be a much bigger update (or at least more important) than they are letting on. We will begin our testing of the new update today and will hopefully report back within the next couple of days. Yes, that will include a day with Ambient Mode on. Others with a Moto 360, how has battery life been since the update?